While numerous homeowners install some kind of security system in their homes, it is vital that they also take it upon themselves to be more watchful to guarantee that they do not fall victim to burglaries. There are a number of steps homeowners can take to ensure that their homes are not a simple focus for criminals. Most home robberies happen while the house is unattended, or the homeowners are out at work. 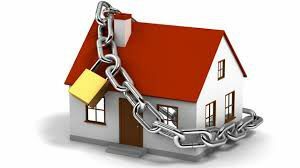 It is essential that homeowners set aside the opportunity to guarantee that they execute proper security measures to help reduce the chances of succumbing victim to a home break-in or other risk factors, particularly if they are going away. Inactive alarm systems are one of the main reasons why criminals are able to enter a home undetected. It is vital for homeowners to test their alarm system regularly by activating it and checking if the batteries work if the power goes off. It is imperative that alarm systems are initiated whenever going out, or going to bed. It is fitting that homeowners install burglar bars onto their windows to guarantee that thieves are not able to enter the house through any of the windows. At whatever point homeowners go out they have to ensure that all entryways and windows, and also the burglar gates, are shut and locked for increased protection. During times of load shedding, criminals could utilize the timetables as a guide to target specific areas during a power outage. Accordingly, homeowners need to be extra alarmed during this time, especially when arriving or leaving the home in the evenings. It is also a good idea to always ensure that the home is sufficiently lit during a power outage. Rechargeable torches and lights should also be kept in the home and car. It is a good idea to change your exit and return schedules. The utilization of automatic gate entrances will also guarantee that homeowners do not have to leave the safety of their vehicle in order to access the premises. When leaving the home, or getting out of the vehicle, it is important to wait until the gate is completely closed and you know that it is safe to exit. If you have a dog in your house, it is imperative that you are constantly mindful when they are barking endlessly, or behaving in a strange way. Pets for the most part respond diversely around new individuals they don’t trust. Therefore, it is important that homeowners always check why the dog is barking, as this could be that they are attempting to alarm you to possible criminal activity.